Our latest Audition Oracle Singers Preparation Award goes to tenor David Horton to support his preparation of the lead tenor role for C. V. Stanford’s rarely performed opera The Travelling Companion with New Sussex Opera later this year. The performances include a professional debut at both Cadogan Hall and Saffron Hall, as well as a world premiere recording of the piece. 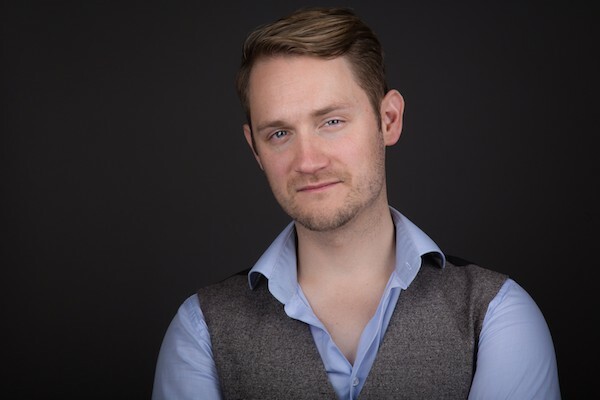 Tenor David Horton hails from Devon and is a recent graduate of the Alexander Gibson Opera School at the Royal Conservatoire of Scotland (RCS). During his time there, he studied under the tutelage of Scott Johnson and was a grateful recipient of a scholarship from the RCS Trust. Previous training includes a BMus Hons from the Royal Northern College of Music (RNCM) and a year spent in Sydney, Australia, studying under Dr Rowena Cowley. Earlier this season David received critical acclaim for his portrayal of the title role in Candide with Iford Arts/Opera Della Luna. Other recent roles include Henry Crawford for Waterperry Opera’s production of Mansfield Park, Vandedendur/King Theodorefor West Green House's new production of Candide, Moon/King of the East, The Enchanted Pig (Hampstead Garden Opera); The Lover/The Friend/The Preacher, The Vanishing Bridegroom (British Youth Opera); Eisenstein, Die Fledermaus (RCS Opera); Tristan, Le Vin Herbé (RCS Opera) and a number of roles in English Eccentrics (British Youth Opera). Upcoming engagements include the role of Defendant in Sullivan’s Trial by Jury and John in Stanford's The Travelling Companion with New Sussex Opera. On the concert stage David has performed across Britain, most recently singing the eponymous St Nicholas in the work by Benjamin Britten with Cupar Choral Society and the tenor solos in Mozart’s Requiem at the Hargrave Music Festival. Whilst studying in Scotland, David also performed the tenor solos in Bach’s Magnificat and Haydn’s Nelson Mass with the Glasgow Cathedral Choral Society (GCCS) and Vaughan Williams’ Serenade to Music with the Royal Conservatoire of Scotland Symphony Orchestra. Earlier this year David performed his debut Handel’s Messiah with GCCS at Glasgow Cathedral and was resident tenor soloist for a number of Bach Cantatas with Ludus Baroque in Edinburgh conducted by Richard Neville-Towle. Upcoming engagements include the tenor solos in Haydn's Nelson Mass at the Hargrave Festival, alongside the Hargrave Festival Chorus. Further information about David can be found on his personal website and on his Audition Oracle Profile. David is managed by Mark Kendall Artist Management. Audition Oracle is committed to supporting opera, choral and classical singers in all aspects of their career. Throughout 2018 Audition Oracle are awarding a minimum of £300/month to individual singers in order to help them turn up to their next professional engagement fully prepared.